As a Digital Services Manager, Joe leads a team of digital marketing specialists and collaborates closely with clients and other Wheelhouse teams to execute performance-based strategy initiatives. He also has a special interest in training and coaching and helps guide many of Wheelhouse’s talent development projects. 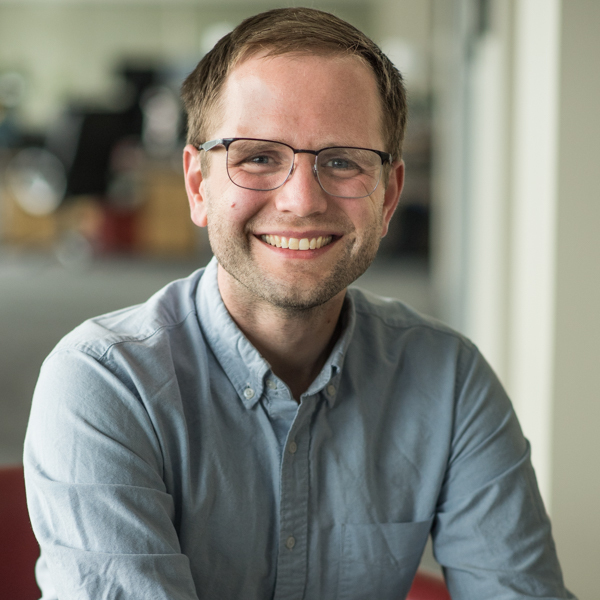 Joe’s curiosity and interest in effective communication drew him from a career in education to come work at Wheelhouse. He has a Master’s degree in writing and rhetoric and has taught a range of English, writing, and speech classes at universities and high schools. At Wheelhouse, Joe enjoys using both critical and creative thinking to help our clients solve their problems and tell their stories. Joe’s hobbies are reading, writing, running and hiking. As a recovering stand-up comedian, Joe also has a strong interest in comedy. One of his favorite things about Wheelhouse is being surrounded by colleagues who are passionate about their hobbies and interests and share them generously with one another.